Back in December I wrote about Southwest upgrading its technology to be able to pre-assign seats and even sell first class. They basically said they were acquiring dangerous doomsday-style technology that they promised they wouldn’t use. The new reservation system will go live later this year. In the first half of 2017 Southwest will migrate operations over to the new platform. While Southwest says they are reluctant to follow other large US airlines in seeking greater revenue from customer segmentation, they’d be able to. They’ll soon have the software to do preassigned seating, and thus charge more for premium seats. But mostly the technology upgrade underscores just how limited their IT resources have been to date. When Southwest first began they were all about speed. At one point financial struggles meant having to give back their fourth Boeing 737 and managing their full schedule with just three aircraft. They invented the ’10 minute turn’ with passengers deplaning from the back while the next flight boarded from the front. Starting as an intra-Texas airline, they weren’t subject to Civil Aeronautics Board regulation. They could fly where they wanted (within the state) without a years-long process to obtain permission, and they could charge what they wanted as well. Prior to deregulation, the Civil Aeronautics Board ‘experimented’ with price competition and allowed Texas International Airlines to undercut Southwest pricing within the state. That’s when Southwest introduced its own two tier fare structure — customers could choose, but paying the higher $26 fare meant walking away from the flight with a free bottle of liquor. And in 1978 Southwest became the largest liquor distributor in the State of Texas. One cabin of service, simple fares were part and parcel of the Southwest route model. They’ve never built the IT infrastructure to do much more and today they couldn’t charge for checked bags if they wanted to. But it’s striking how much more limited they are than even that. Their current IT systems can’t handle redeyes well. We can expect to see Southwest redeye flights in the future. They can’t even handle day of week scheduling issues automatically. As a result most days Southwest operates the exact same schedule. We’ll see reduced midweek capacity in the future. Southwest has to fly the same schedule Sunday-Friday to all the cities in its domestic network, given the current tech, with Saturdays a separate schedule. They can’t do much inventory management now. For example, on a route such as Denver to Orlando, which has a mix of nonstop and connecting options, Southwest can vary the prices it charges in Denver and in Orlando for the route. The new system will allow it to manage inventory, not just price, for each origin and destination city. Controlling inventory is one way to make a revenue-management system work better. During irregular operations they don’t reschedule passengers in bulk. They cannot even reschedule passengers over the phone. Neither telephone reservations nor the twitter team could rebook me while I was diverted on the ground in Corpus Christi last month since I was already mid-trip. I’d have had to wait until I made it to my connecting city (or inside the terminal in Corpus). There’s little question they could benefit from greater reservations system functionality. They could publish a full year’s schedule at once, rather than loading flights in chunks months at a time. They could offer customers more connections using their existing flights than they’re able to today. And they could offer a differentiated product and possibly earn more money as a result though they recognize it would fundamentally alter the Southwest brand to do so. At least now when their IT crashes they haven’t lost much. If they add real first class, they’ve got my business. Oh wow, I never realized they were so far behind the tech curve. I always wondered why certain city pairings weren’t available for purchase even though they should work logistically. They have done impressively well with what they have. I was blown away a few months ago when I learned they can’t track bags in real time. One of our three bags didn’t make it to SDF, and the rep said he had no idea where it was in the system. Just had to wait and hope for the best. It would be fantastic if they start doing assigned seats. Open seating and that ridiculous boarding process (god forbid if you can’t checkin at T-24) and the main I try to fly WN as little as possible. Pay the extra $15 and getting the early bird. With no bag fees it’s still a better value than legacy carriers. They are horrible!! I will say though that they have done an incredible marketing job over the years painting themselves as a low cost carrier. The sheeple have completely bought in. Fine by me, as I’m choosing a real airline for the same price without having to deal with the Southwest riffraff. I flew RyanAir for the first time the other day. 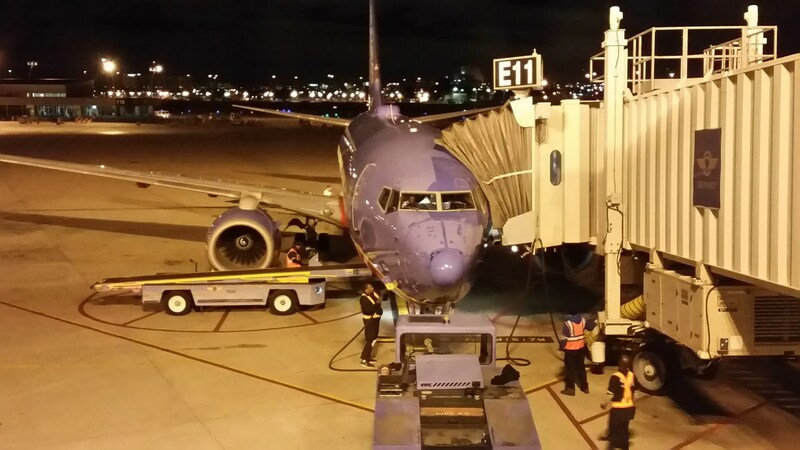 Using 2 doors to load/unload, they blew Southwest out of water on turnaround time! pros and cons. Let’s see how this plays out. for a very interesting read. Also, I recently benefited from “lack of inventory management”. I needed to purchase 2 tickets SJC-MDW with less than a week’s notice. I was able to snag them for $200 each. After buying them, I found there were only 2 seats left for sale on the flight, both priced at over $500. I suspect someone who bought the tickets weeks or months ago at a deeply discounted price had just cancelled them, and due to antiquated IT Southwest put them back into inventory in the same deeply discounted fare class. Had Southwest already upgraded their IT, I suspect those 2 seats would have cost me about $429 each instead of $200. I would think that they would have acquired a better system from the mergers but I guess airtran etc had much weaker systems. Ok are we ready to have a serious discussion? 1) Why in the United States do we need so many airlines? If the complaint is that under the current environment, there simply isn’t enough revenue to sustain the overwhelming institutional costs of maintaining and flying commercial aircraft, then why are there so many players “STILL”? 2) I don’t understand the significance between terming one carrier “LEGACY” and labeling another a LCC ( Low Cost Carrier) . Many of the Legacy airlines operate dated equipment and the fact that they have a small number of leases in their fleet of newer models does not make their entire fleet of aircraft “state of the art”. That’s like saying because Enterprise can rent you a Benz 430, that 2008 Toyota Yaris you got there is “state of the art”. And a Toyota is a fine automobile, much finer than any mickeyed VW Folks Mobile. If the business environment is too restrictive or doesn’t allow for profitable operations, then just continue to get rid of all the dumb series of uniforms. 3) If it can’t be done better, then why are we seeking to restrict competition on the basis of “ownership”? I would think Virgin America selling out would indicate that there is not demand in the market for “high end” shuttle service but who knows? Why not allow and take on all comers? Frankly just on the basis of what I see with my two eyes, the two companies most reviled by the self termed “FF” community seem to be the ones putting out the best real world product despite the fact that they plan to be paid for their services. The system of Southwest Airlines is very agreeable and its security is uncompromising. I was so glad to hear this, when I read an article last week about this. I get tired of booking my flights separately. For instance, I have to book TUL to HOU, then book HOU to BZE separately. It is a hassle to collect your bag and recheck it, then go back through security. I couldn’t understand why their system wouldn’t connect certain flights, until I read the article. Not to mention it made no sense to have to pay taxes on two flights. I watched an interview Gary Kelly did a few days ago and he stated that they will not add a first class product, nor will they charge for bags, that their customers would revolt if they charged for bags. While we’re at it, why don’t they fly nonstop NYC-LAX? @ gregory johnson: yes, I could pay more money, but why should I pay for something the other main carriers include as part of the standard ticket? as for WN’s free checked bags: irrelevant. I almost never check, and when I do, I’m flying an airline where I have elite status and don’t pay bag fees anyway. Hmm. You can only book WN at southwest.com. Is that because it’s often more expensive? @ Bob… that works for you. for others free bags is a much bigger deal. Like a family traveling. 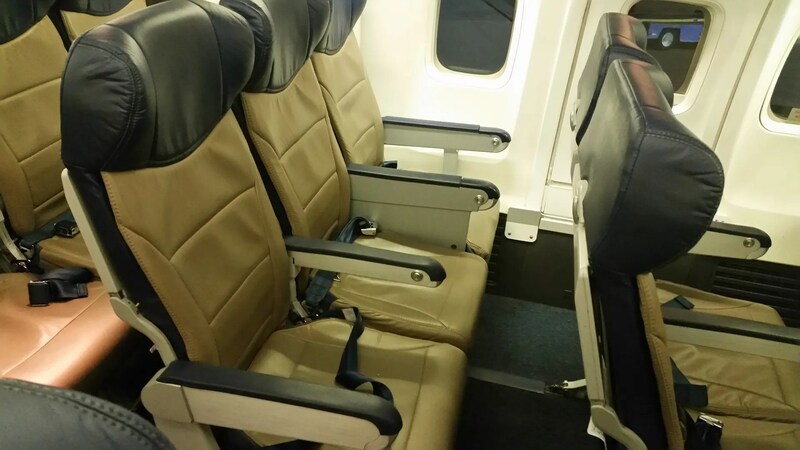 Try and get 4 seats together without having to pay for them on AA. That being said, my main reason for flying SWA so much is the companion pass. Can’t beat 2 for the price of 1 flying. Gary, do you think this will finally allow them to grant PreCheck for domestic legs of international trips like others already do? Based on Southwest’s IT delivery challenges over the years, I will be shocked if the new reservation system really rolls out in the first half of 2017. Culturally, switching to a packaged system like Amadeus is a real culture shock for an organization that has always preferred developing everything in-house. Excuse me, they do this already without any cost for new technology. You are in the first boarding group if you pay several times more for “Business Select”. For the flight I just picked at random it was $74 for “wanna get away”, and $274 for Business Select. Nearly 4X as much. Does this allow you to pick an exact seat? No, but you are going to have first choice in the front of the plane. After that, you can pay $15 for Early Bird boarding, and be right after Business Select. That usually means your first choice of seats after the first 5 or 6 rows. This is what I usually do. Frankly, if they go to pre-assigned seats at 4 times the cost of non- pre-assigned, and I can’t get in the second half of A group boarding for $15 anymore, I stop flying with them at that point. If they introduce assigned seating and ditch the cattle call concept and Early Bird, I might reconsider my stance of never flying Southwest. Then again, probably not, as it’ll still be the Walmart of airlines unless the culture completely changes along with the software, which is unlikely. I’ll take my chances with Target. You can book Southwest Vacations thru e-bates and get a rebate once you sign up for an e-bates account. (simple). I always shop thru that portal for check rebates on all on-line shopping. Also, if you’re going to pay $15.00 for Early Bird check-in instead might as well just add another $25.00 or $15.00 respectively at the gate to upgrade to Priority to receive boarding group 1-15 (based on space available). It’s always been available whenever I upgrade. Just ask the gate agent for the upgrade & use your credit card.